Tampa’s restaurant scene is attracting existing culinary concepts from out of state, across the state, and the other side of the bay. And efforts to expand brands here, establish a Florida foothold, or create a strong Central Florida identity show no signs of slowing. In fact, there seem to be more signs of dining newcomers setting up shop here, and more restaurant site boasting more locations “Opening Soon” than ever. Dixie Dharma is showing its love of 100% plant-based foods and sharing its signature Southern-style cooking that originated its hometown in Orlando. Those same incredible flavors and hard-to-believe-it’s-not-meat cuisine are now being served and savored at Armature Works in Tampa. A culinary venture that modestly began with a vegan hot dog cart eventually transitioned into a trailer that was a fixture at farmers markets before finally moving into a traditional brick-and-mortar base, the Market on South. Famous for “fine vittles” and comfort food, initial plans call for Dixie Dharma to gain Tampa fans by launching a limited menu of classic items before bringing breakfast and brunch dishes to the table. The next step will be to incorporate weekly specials. Also on the horizon are Tampa-exclusive offerings as well as branded merchandise specific to this city. So how did Tampa get to be the lucky latest outpost of Dixie Dharma? What originally was supposed to be a fresh seafood market located in Lee Hall near Newport News, VA quickly morphed into a popular place for fried seafood. Skrimp Shack founders Mitch and Stacey Hartman inked the lease for their retail business before realizing cooked food had to account for 80% of revenues. A quick trip to purchase fryers transformed the couple from seafood purveyors to freshly-cooked fish sandwich creators. They started their days making the rounds to buy the live crabs and fresh fish and shrimp that helped expand the menu and keep customers coming. That same commitment to keeping their food fresh and flavorful enabled the couple to expand to more than 20 locations throughout the East Coast, including a recent addition to the franchise family that marked the first Skrimp Shack in Florida. The Temple Terrace location opened earlier this year thanks to franchise co-owners Tyler Cate and his father Larry Cate. Menu items include baskets, sandwiches, and dinners primarily featuring seafood, but there are chicken options as well. Youngsters can even order off of their own Kids Meals menu. Sides include fried okra, hushpuppies, and sweet potato fries. Opening The Mill in Downtown St. Petersburg in 2015 was a groundbreaking move for Chef Ted Dorsey. It marked the first time he was at the helm of his own restaurant, a venture he launched to great acclaim with managing partner/restaurateur Jason Griffin. 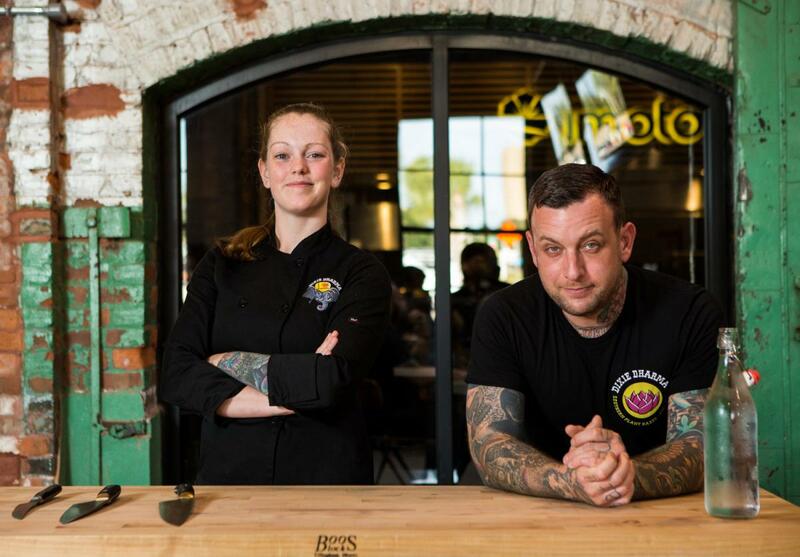 Opening a second Mill in South Tampa in early April has been more like a homecoming for the talented chef who has been associated with some of Tampa’s top restaurants. A graduate of Le Cordon Bleu, his first stop locally was at Mise En Place, which was followed by a stint as sous chef at a popular Davis Islands restaurant, Chez Bryce. Dorsey continued leaving his stamp on local kitchens while developing menus for Ciro's Speakeasy and Supper Club, Boca Kitchen, Bar and Market, and Copperfish Seafood Grill & Oyster Bar . St. Pete Beach later benefited from his culinary skills when he oversaw the dining and bar facilities at The Hotel Zamora before the original Mill made its debut in St. Petersburg. Now Dorsey is making a triumphant return to Tampa. With the newest location of The Mill, Dorsey is featuring bold flavors, exotic proteins like ostrich and bison and seasonal ingredients. Occupying a spacious site that previously housed a tapas-style restaurant, Ceviche, the fully-redesigned restaurant offers lots of bar seats, a generous dining room, and a cozy covered deck overlooking a water-churning mill. Find more amazing restaurants in Tampa by registering on 813area, your free guide to the Tampa Bay area.